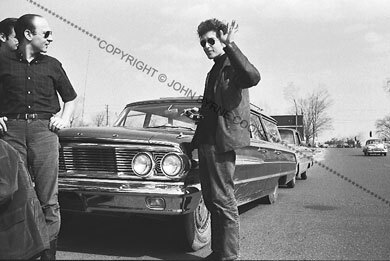 In the spring of 1964, Bob Dylan toured New England in a navy-blue Ford station wagon driven by his road manager, Victor Maymudes. Bob was the first folk artist to have a road manager, and it was a measure of his rapidly - escalating success. After gigs in Cambridge and Boston, Bob and Victor headed for the University of Massachusetts at Amherst. A few of us from the Cambridge folk scene tagged along for the trip.